A Call to understanding that California is primarily a collection of Fire Ecosystem regions – dependent on Fire for ecological health. AND there is a far deeper picture here with humans manipulating the weather, influences from some darker aliens, Fear Mongering among those who are trying to block the full birthing of the New Earth coming in at this time, and more. Mother Gaia is calling us back to the Wisdom, the humility, to living in balance on her. She wants us to truly, truly incorporate Systems Thinking into our land-use planning, the energetics of our thoughts, emotions and actions – to heal our thoughts, emotions and actions. And to wake up, wake up back to the Oneness, and to Mother Gaia’s tremendous Love for us. It is time to come HOME to Mother Gaia and Wake Up, and be Pro-Active Mid-Wives to the New Earth! Mother loves all of us so, so, so much. Transmitted by Gaia Priestess and Communicator (Multi-Award-Winning Author & Healer) ~ Mare Cromwell. 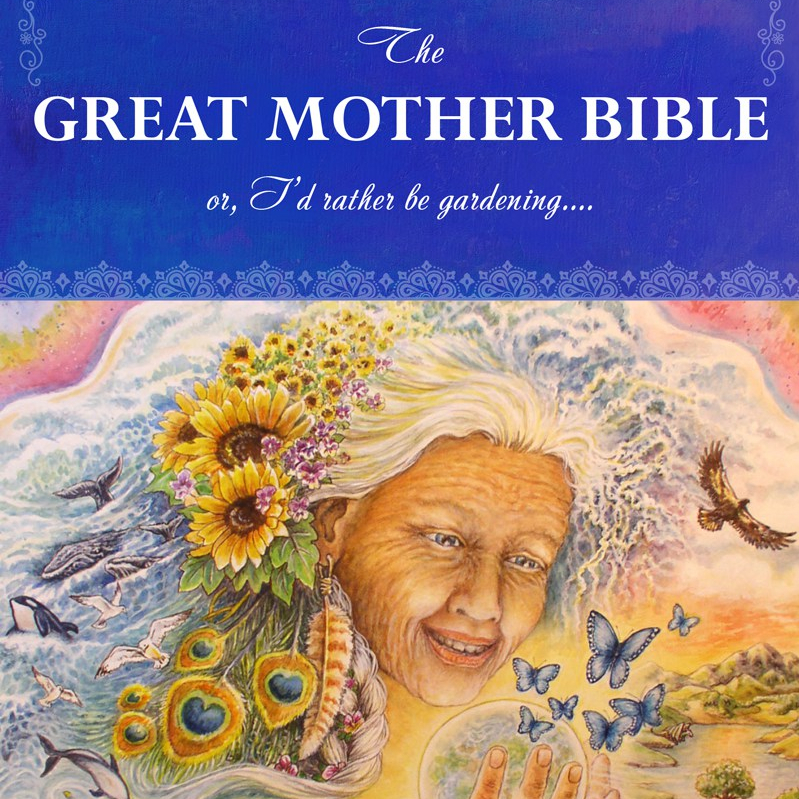 Mother Gaia has asked Mare to start teaching on the “Great Mother Love Way”, starting this January. Info TBA in next few weeks, via her website. Mare Cromwell is a Gaia Communicator & Priestess, Author and Healer. Some might call her a Medicine Woman. She has devoted her life to the Great Mother and midwifing the New Earth coming in now. Her multi-award-winning books include: “The Great Mother Bible”; “Messages from Mother…. Earth Mother”; and, “If I gave you God’s phone number….”. Mare has studied with Native American elders for 23 years along with other gifted spiritual teachers. One gifted elder informed her that her work with Gaia is in the prophecies. Another gifted elder called her the “Voice of Earth Mother”. She sat on the World Council for Wisdom Gatherings for three years and is the visionary behind the 1000 Goddesses Gathering. Mare also hosted the weekly “Voices from Gaia” Webcast Series during the winter of 2018. She lives in western Maryland and is a former worm herder. She absolutely loves Sacred Silliness! Yet this could not be farther from the truth. You are all eating, breathing, and even pooping in a limitless Love Soup – Quantum Divine Love, and abundance. For real. Water is actually Love Flowing in this limitless Love – and most of you use toilets. So pooping counts too. You are living in a Quantum Divine Love Soup! Yet your culture would have you think that there is never enough to go around. Never enough money, nor Love, nor chocolate even (for those chocoholics such as you, Mare)! So many ascended beings, spiritual avatars, gifted Lightworkers are dancing in this Love Soup and doing great Work to nudge all of you into dancing with them. Please know this. You are not alone. You have never been alone and the infinite Love within the Quantum Divine Love Soup team, the Ascended Masters and more, have been beaming LOVE on you long before you ever incarnated in this particular EarthWalk. Beautiful ones, just about all the songs in your culture speak of needing Love, losing Love, collapsing under lack of Love. Many take their lives since they have completely lost any sense of Love. Every time one of my Beloved humans takes their life, the sadness ripple from that suicide gives me sorrow. Do you see how your society is perpetuating these “Stories” that keep you spinning in the sad mindset that another person is going to give you – what you already have! You just have not truly absorbed this. You are swimming in Quantum Divine Love Soup! Drink it in. Bathe in it! And most importantly, take this infinite abundance of Love Soup and bring it into your heart, and affirm in 1000 ways how you can Love yourself. Love your wounded inner child. Love all of the wounded aspects within you that block you from your Self-Love. All of you chose to be here on me, Mother Gaia, at this particularly adventurous time in my history. All of you have the potential to be beautiful, amazing, Lightworkers weaving my New Earth in. I am very, very pregnant right now, with this New Earth. And all of you are my mid-wives, if you choose to truly heal into this Role. I am calling to each one of you, to your hearts and your souls, to support my rebirthing. And the way to support me is to heal your hearts and emotional bodies, shed the Cultural Conditioning, learn to live sustainably and Celebrate that you are all glorious, beloved, children of mine, and of Creation also. A video #GaiaTeach (on YouTube)– A Message from our Mother Gaia – about the Solstice and Stillness during the Solstice that she invites us to experience. And she calls us to shed the Layers, and come Home to her (she does exist! ), and take in her healing LOVE that is so huge. A Call to Wisdom, being still, calm the frenetic ways, do ceremony to the Solstice energies and to Mother, and come home to Mother Gaia’s tremendous Love for us. It is time to remember our Sacred Mother Gaia and Wake Up, and be Pro-Active Mid-Wives to the New World! Mother loves all of us so, so, so much. Downloaded by Gaia Priestess and Communicator (Multi-Award-Winning Author & Healer – and former worm herder) ~ Mare Cromwell. Mare’s Bio: Mare Cromwell is a Gaia Communicator & Priestess, Author and Healer. Some might call her a Medicine Woman. She has devoted her life to the Great Mother and midwifing the New World coming in now. Her multi-award-winning books include: “The Great Mother Bible”; “Messages from Mother…. Earth Mother”; and, “If I gave you God’s phone number….”. Mare has studied with Native American elders for 22 years along with other gifted spiritual teachers. One gifted elder informed her that her work with Gaia is in the prophecies. Another gifted elder called her the “Voice of Earth Mother”. She sat on the World Council for Wisdom Gatherings for three years and is the visionary behind the 1000 Goddesses Gathering. Mare also hosted the weekly “Voices from Gaia” Webcast Series during the winter of 2018. She lives in western Maryland and is a former worm herder. She absolutely loves Sacred Silliness! A #GaiaTeach – A Message from our Mother Gaia – about the (2nd!) massive flood in Ellicott City, Maryland, Sun, May 27, 2018. A Call to Wisdom, incorporating Systems Thinking in our land-use planning, the energetics of our thoughts, emotions and actions, the role of Elementals in the Weather patterns, and to wake up, wake up back to the Oneness, and to Mother Gaia’s tremendous Love for us. It is time to come HOME to Mother Gaia and Wake Up, and be Pro-Active Mid-Wives to the New World! Mother loves all of us so, so, so much. Downloaded by Gaia Priestess and Communicator (Multi-Award-Winning Author & Healer) ~ Mare Cromwell. Mare has studied with Native American elders for 22 years along with other gifted spiritual teachers. One gifted elder informed her that her work with Gaia is in the prophecies. Another gifted elder called her the “Voice of Earth Mother”. She sat on the World Council for Wisdom Gatherings for three years and is the visionary behind the 1000 Goddesses Gathering, along with the Gaia Wisdom Gathering to be held at Haverford College, PA, June 8 – 10, 2019. Mare also hosted the weekly “Voices from Gaia” Webcast Series during the winter of 2018. She lives in western Maryland and is a former worm herder. She absolutely loves Sacred Silliness! I actually connected with Pélé this morning and recorded a message from her @ what is going on with her on the Big Island in Hawaii. That was a first. Rather wild. Mother Gaia piped up too. Humbling… to surrender and serve at this level. humbling. For the sake of expediency (since I’m juggling a bit here, as most of us are), you can read the message in my latest e-Newsletter. Things have started to calm down on the Big Island with Péle´in the past 24 hrs. A significant Spiritual Team both on Earth and Off Earth have been working on this, along with some very gifted Lightworkers (in the human form). Pélé is in a better place now than she was two days ago. At that time, a chunk of the Big Island was threatening to collapse into the ocean, and create a significant tsunami that might have hit California. It is most wise to not get caught up in the fear and chaotic spin of so much in the media and to trust in the great spiritual forces that are moving Ascension along here on our Sacred Earth. And to release the fear that blinds you and paralyzes you so much these days. I would like you, my beloved two-leggeds to spend far less time on Social Media, and go outside and spend time with the trees. And tend some plant babies and give them love. I LoVE you and yet… all this chaotic energy that you are all putting out via Social Media (not to mention your news outlets) is not Serving Me and all who are working so intensely on the Spiritual Planes to move Ascension forward in a good, positive, graceful way. Voices from Gaia – Webcast Series – Jan 17th – March 7th. What do you think the dolphins might have to share during these chaotic times on our Sacred Planet? Or the whales, or trees or owls? Or even the bees. Their intelligence and wisdom is far greater than any of us were taught in school! We are living in deeply tumultuous times and the sacred beings from these other domains have a rather different perspective and insights about the Earth Changes to educate and support us. Mother Gaia specifically requested this series to bring forth significant information from other sacred realms upon her, and to encourage us to wake up to the profound web of sacred intelligent life around us. There will be a moderate fee to register. You can always register after the Series starts and you will be sent the links to download the earlier interview files to listen to, to catch up. Woody Vaspra – a Hawaiian Elder will teach and share stories on “How we can embrace all beings as family”. For the New World being born at this time and the future generations of all beings!